The grim news was confirmed in a statement from his office. "Senator John Sidney McCain III died at 4:28pm on August 25, 2018. With the Senator when he passed were his wife Cindy and their family. At his death, he had served the United States of America faithfully for sixty years," the statement read. The long-time Republican was diagnosed with an aggressive form of brain cancer called glioblastoma in July, 2017. 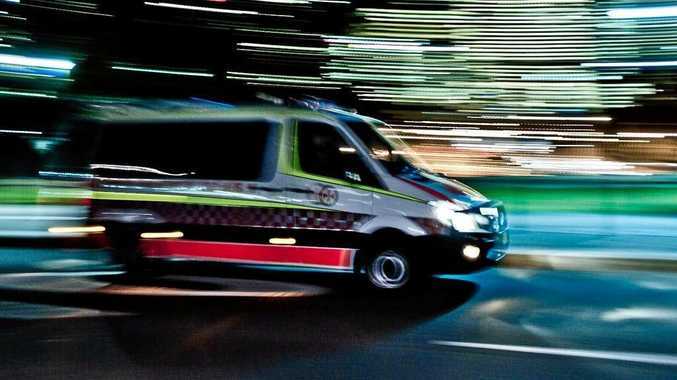 He had previously been treated for skin and prostate cancers. McCain's family recently announced that he had decided to stop his cancer treatment. In a statement, they said: "Last summer, Senator John McCain shared with Americans the news our family already knew: he had been diagnosed with an aggressive glioblastoma, and the prognosis was serious. In the year since, John has surpassed expectations for his survival. But the progress of disease and the inexorable advance of age render their verdict. With his usual strength of will, he has now chosen to discontinue medical treatment." The statement went on to say: "Our family is immensely grateful for the support and kindness of all his caregivers over the last year, and for the continuing outpouring of concern and affection from John's many friends and associates, and the many thousands of people who are keeping him in their prayers. God bless and thank you all." 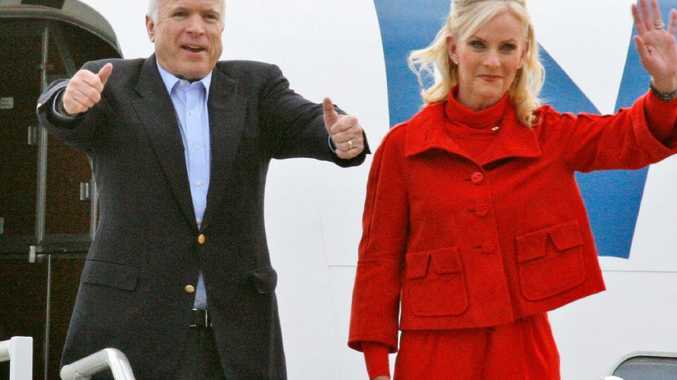 His wife Cindy McCain wrote in a tweet: "I love my husband with all of my heart. God bless everyone who has cared for my husband along this journey." The late senator's daughter, Meghan McCain, said in a tweet: "My family is deeply appreciative of all the love and generosity you have shown us during this past year. Thank you for all your continued support and prayers. We could not have made it this far without you - you've given us strength to carry on." Tributes from around the world have begun to pour in for the former American senator, particularly in the US where his political career flourished. 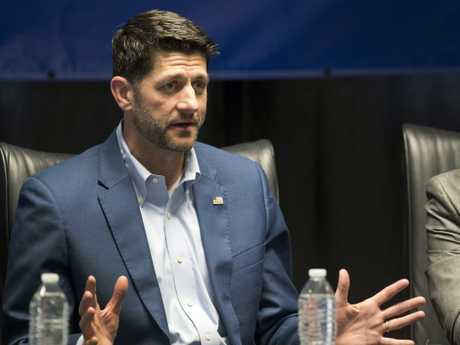 Even before he passed away, Speaker of the House Paul Ryan and Senate Majority Leader Mitch McConnell praised McCain and offered prayers for his family, as did Mitt Romney, the GOP's 2012 presidential nominee. 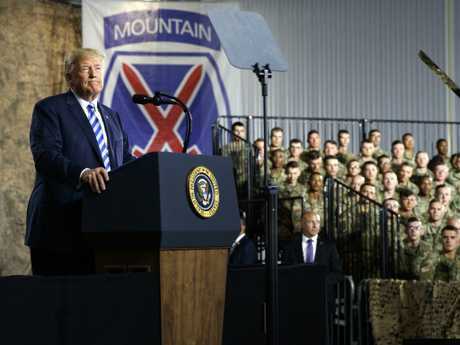 The Army also thanked him as it opened a new modernisation headquarters in Texas. General Mark Milley, the Army's chief of staff, called McCain an American hero while activating its new Future Command in downtown Austin, Texas. Milley said as chairman of the Armed Services Committee, McCain was instrumental in delivering what the Army calls its most significant reorganisation since 1973. Milley said members of McCain's staff were on hand at the opening of the command, which is tasked with modernising the Army's defence teams and weapons. Sarah Palin, the former Alaska governor who McCain controversially chose as his vice presidential running mate in the 2008 election, tweeted: "Prayers for @SenJohnMcCain and his family at this most trying time," Palin wrote in a tweet. "May my friend sense appreciation for his inspiration to serve something greater than self." McCain began his career in politics in the early 1980s, after serving in the US military as a Navy pilot for more than 20 years. He fought in the Vietnam War where he was captured after his plane was shot down. 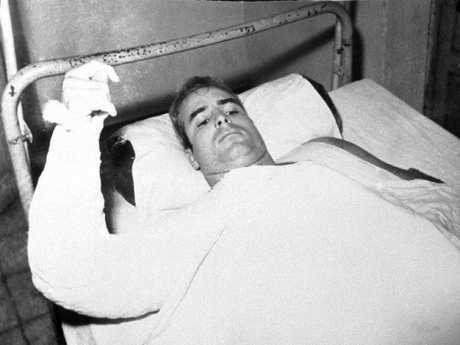 McCain remained in Vietnam as a prisoner of war for five and half years, but despite suffering years of torture, the experience didn't deter him returning to military duty once his rehabilitation was complete. 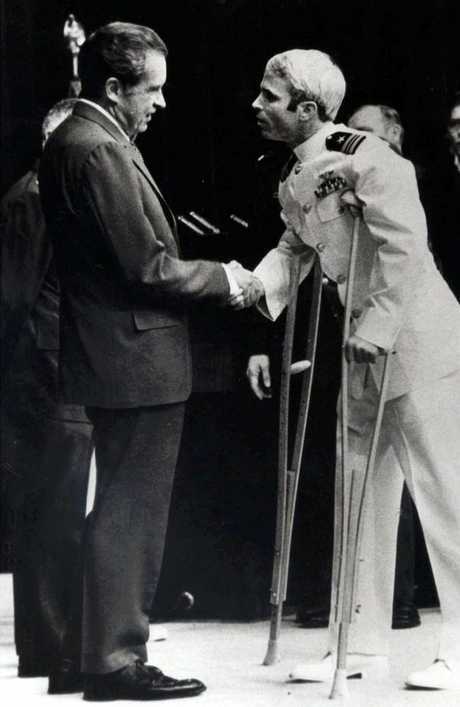 Suffering from ongoing physical disabilities as a result of his wartime injuries, McCain retired from his position as navy captain in 1981 and moved to Arizona where he began his political career. Over the years, McCain earned a reputation for being a conservative politician who wasn't afraid to stand up against ruling Republican ideologies, and as a result was often dubbed a "Maverick". In the 1980s, he was embroiled in a political scandal along with four other senators. 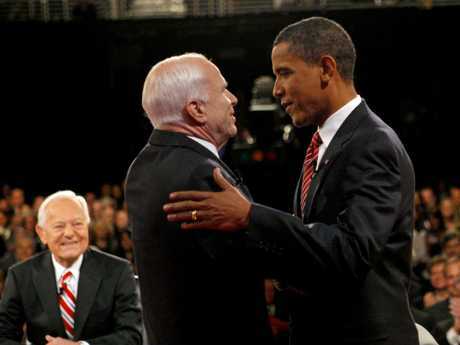 The so-called "Keating Five" were accused of corruption, but McCain was ultimately cleared and simply criticised for exercising "poor judgement". Despite his experiences in Vietnam, McCain played a key role in helping restore diplomatic relations with the Asian country in the 1990s. Away from the battlefield and politics, McCain married his first wife Carol Shepp in 1965. He adopted her sons, Doug and Andy, who she had during her first marriage. McCain and Carol had a daughter, Sidney in 1966. 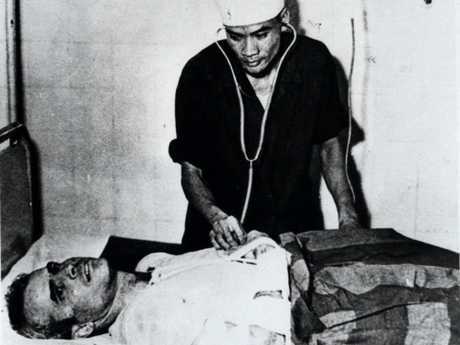 A year later, McCain was captured as a prisoner of war in Vietnam and held for five-and-a-half years. 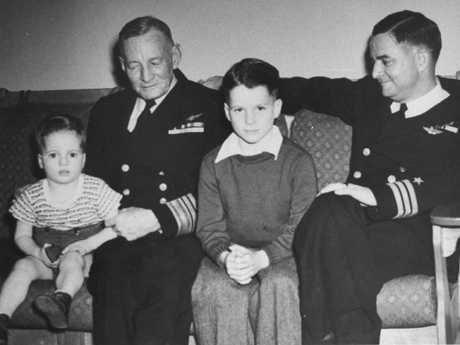 When he returned and became a commanding officer in a Naval squadron, followed by a job as a military liaison for the Senate, his work began to put a strain on his marriage. Andy recalled: "As dad progressed, he was gone a lot, doing a lot of international travel, and it was putting a little stress on the marriage." McCain then met Cindy Hensley in Hawaii in 1976. Cindy recalled how they met in a new documentary titled John McCain: For Whom the Bell Tolls. She said: "I was a teacher of special education at the time in Arizona, and it was spring break and we were invited to a reception that was being held for a group of United States senators on their way through Hawaii to China. He introduced himself to me and I just didn't know what to expect. What I saw was this incredible human being that was a lot of fun to be around." The fell in love and McCain left his first wife to be with Cindy. They later married in 1980. She was 25, and he was 43. "I really didn't think he'd propose," Cindy recalled. "He was older. I knew he cared very deeply for me. I did know that." Their daughter Sidney told the doco: "Cindy was very young too, and you can't help who you fall in love with. I truly believe that my dad is very much in love with Cindy, and I think she is very much in love with him, and I think there is something very beautiful about that. At the time it was really awful." McCain and Cindy had four children together: Meghan, James and John Sidney IV. They adopted Bridget. In September 1999, McCain announced that he would be running in the presidential race, but lost the primaries to fellow Republican George W Bush, who went on to win the general election in 2000. Eight years later, he ran for president again, declaring, "I'm not running for president to be somebody, but to do something; to do the hard but necessary things, not the easy and needless things." Although he became the Republican presidential nominee (with Alaska Governor Sarah Palin as his vice-presidential running mate), he lost the general election to Democrat Barack Obama in 2008. McCain refused to let these losses stop him, continuing to play a significant role in the US senate up until December last year. In 2016, McCain expressed concerns about Donald Trump's nomination for president but said he would support him. However, when Access Hollywood recordings of the now-President making crude comments about women surfaced, McCain withdrew his endorsement saying it was "impossible to continue to offer even conditional support". McCain was rushed to hospital in December last year after suffering side effects from his chemotherapy and radiation treatment, but his daughter Meghan said in January that he was "doing good". US President Donald Trump has publicly clashed with McCain since the beginning of his 2016 presidential campaign. Trump declared in 2015 that McCain wasn't a war hero because he was captured in Vietnam, and has been critical of McCain's hawkish foreign policy views. At his rallies, Trump continues to bring up the lawmaker's decisive 2017 no-vote on the GOP's bill to repeal the Affordable Care Act. While McCain had not been in Washington since December last year, he was still speaking out against the Trump administration where he felt it had gone wrong. In May, he called on his fellow senators to oppose Trump's nominee to lead the CIA, Gina Haspel, citing her role in the Bush-era CIA interrogation program. In July, he attacked Trump for his summit with Russian President Vladimir Putin, saying it was "one of the most disgraceful performances by an American president in memory." "The damage inflicted by President Trump's naivety, egotism, false equivalence, and sympathy for autocrats is difficult to calculate. But it is clear that the summit in Helsinki was a tragic mistake," he said in a statement. In McCain's new memoir, The Restless Wave, he said he had received calls from his former political opponents, former presidents George W. Bush and Barack Obama. McCain wrote: "Before I leave, I'd like to see our politics begin to return to the purposes and practices that distinguish our history from the history of other nations. "I would like to see us recover our sense that we are more alike than different." In an interview with CNN's Jake Tapper, McCain said he was "very happy" with his life and what he has "been able to do." "I am able to celebrate a wonderful life and I will be grateful for additional time that I have," he said. 1977: He was assigned as the Navy's liaison for the US senate, a move that he said was his "real entry into the world of politics". 1997: McCain was named as one of the "25 most influential people in America" by Time magazine. 1999: His book Faith of My Fathers is published. It tells of his family's military history and his experiences as a POW. 2018: In August, McCain's family announce he is stopping medical treatment for his brain cancer.